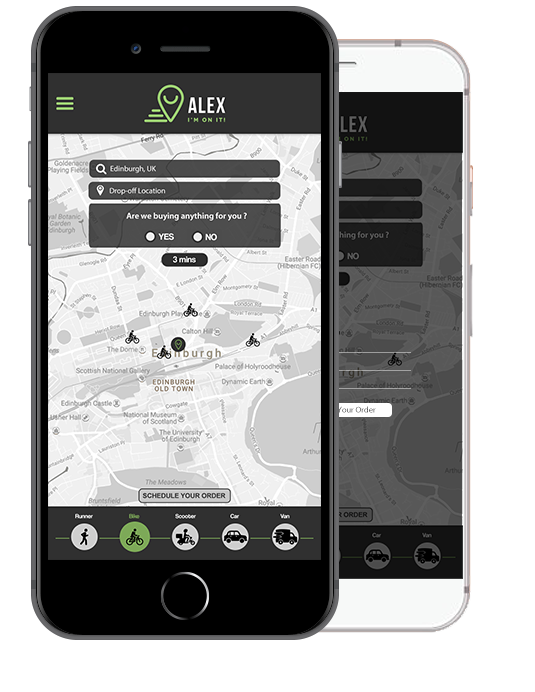 ALEX app is an instant point-to-point delivery service. We can pick-up and drop-off items or buy anything on your behalf from any store in the city. 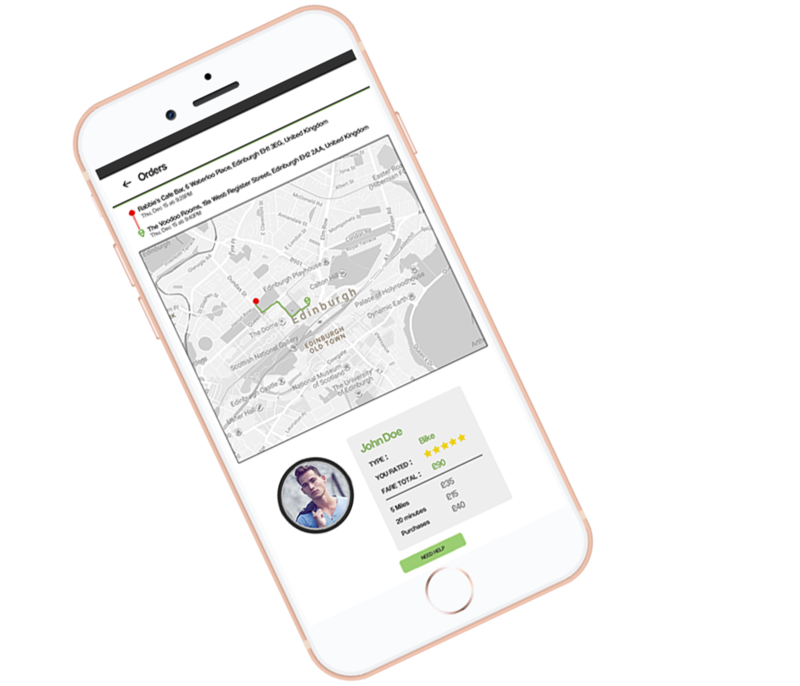 You only need to give us the pick-up location, drop-off location and type what you need in a message box. We offer five different mediums of transportation: By foot, cycle, scooter, car or a van. 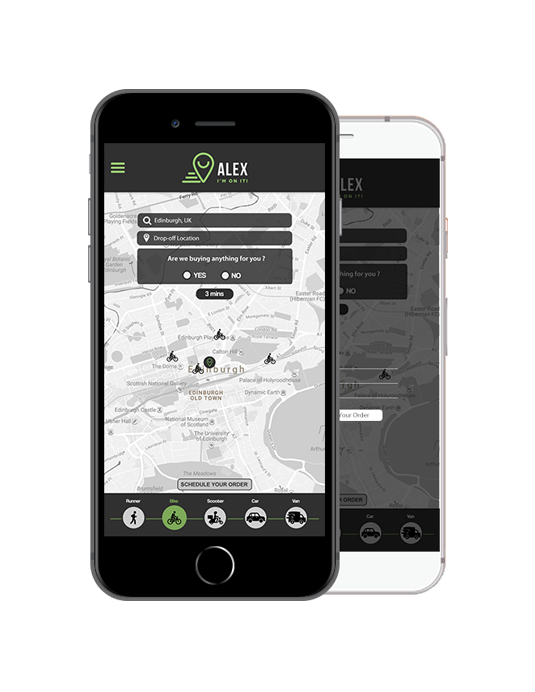 Communicate with the messengers via the app by text, calls and even photos of your requested items. Separate your business orders from your personnel orders. View your history of orders. Choose messengers on foot, bike , scooter, car or van depending on the size and speed required for the order. You are successfully subscribed for our newsletter.